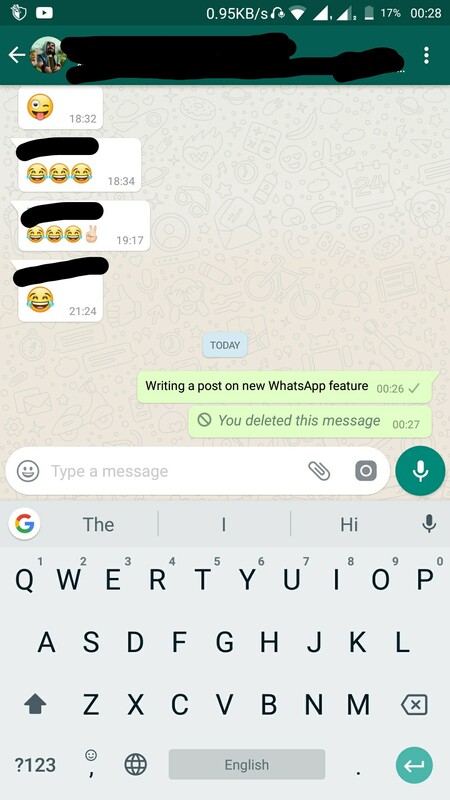 WhatsApp has rolled out the new feature and i believe, it’s the most exciting, important and innovative feature till now. 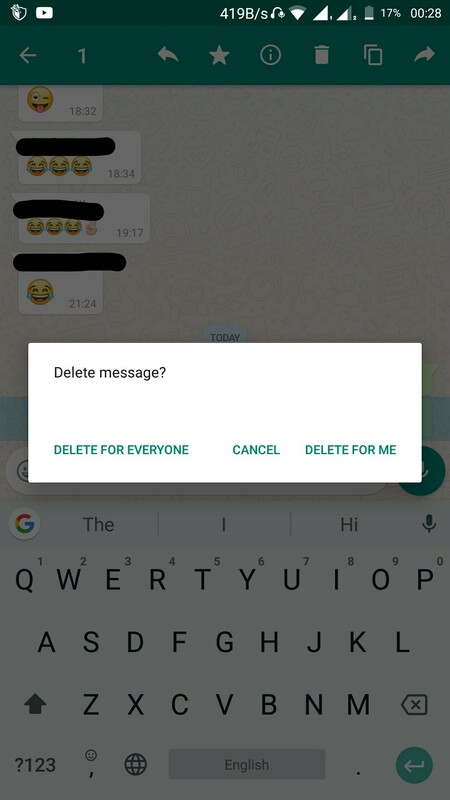 The feature is about deleting the message you have sent. 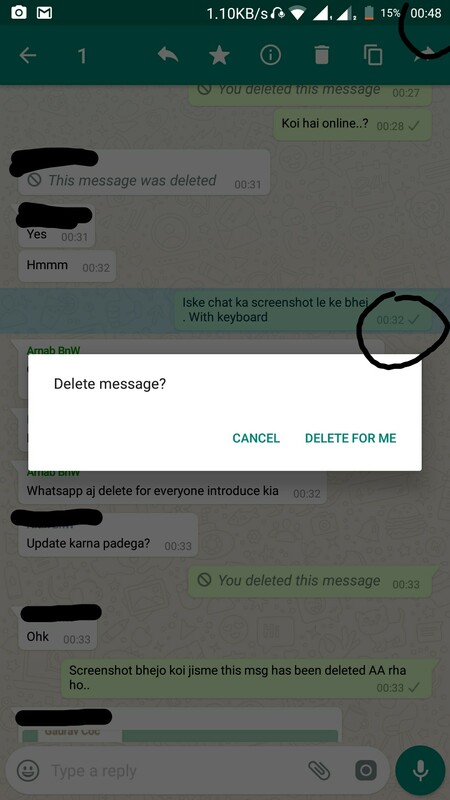 Earlier, you can delete messages but the message once sent from your end cannot be deleted and was visible to the receiver but now things are changed. 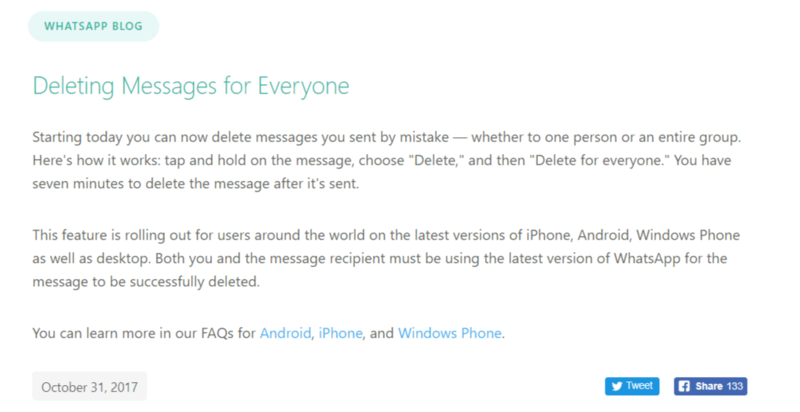 You can delete sent messages also from receivers chat and all you have to do is to choose “delete” or “delete for everyone” while deleting. 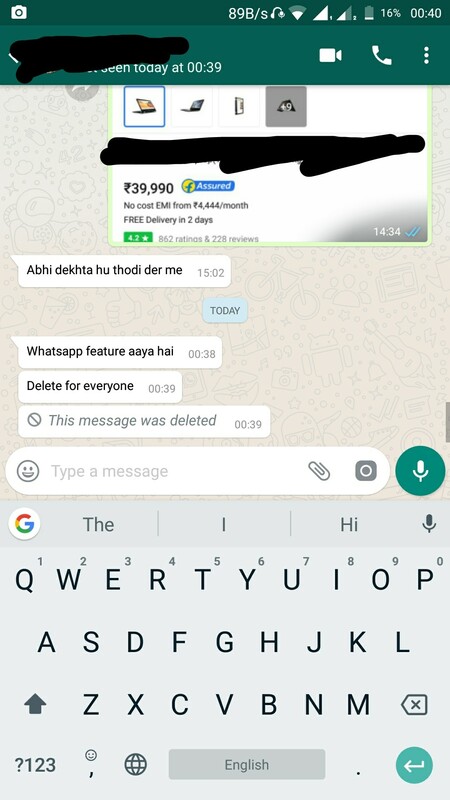 About how it works, you just have to hold the selected message from the chat and choose “delete” or “delete for everyone”. The feature works for personal as well as group chats. The only limitation of the feature is you got only 7 minutes, after 7 minutes, you will not be able to delete the message.